Special Note: To all parents that have kids trying out for a place in the Bantams next season (school years 3 & 4). You do not have to turn up tonight to our last trial. Due to the poor weather conditions today, all those that have already attended previous sessions will be given a tick next to their name. If you would still like to come along then please but those that do not will not be hampered by not coming this evening. Congratulations to the Colts and the Falcons for winning their end of season Bantam tournaments. The Colts won the battle from the group 1 teams while the Falcons reigned champions of the group 2 teams. After the tournaments had ended, all ten Bantam teams received their trophies from Bantam Secretary Paul Saxby to celebrate what has been a good season for the boys. It was a wonderful occasion for all those involved with the Bantam league – everyone at Raynes Park Little League would like to congratulate all the teams for their very successful day. Due to the adverse weather conditions this morning, this weekends Bantam fixtures have been cancelled. The league and Bantam League Secretary Paul Saxby felt, with the best interests of the young kids, that the weather was not good enough for the kids to play football. Fingers crossed the weather will start to improve soon so the kids can play their football in the sunshine once more. An extra week of matches have been penciled in for the 15.12.2012 in response to the League losing three consecutive weeks due to poor weather. The Managers vs Parents match originally scheduled for this day has been moved back to the 22nd of December. 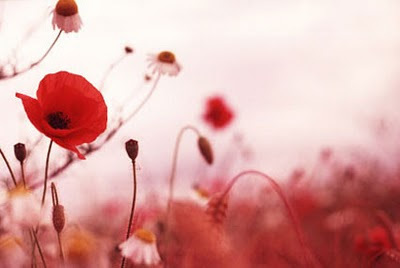 This weekend is Remembrance Day: (also known as Poppy Day or Armistice Day) a memorial day observed in the United Kingdom and across the Commonwealth countries since the end of World War I to remember the members of their armed forces who have fallen in the line of duty. With our Bantam and Junior One Day Cup taking place this weekend – Raynes Park Little League will be having a minutes silence at 9.25am to mark our respects to all those. We invite all participating teams, alongside their coaches, onto their designated pitch to share in this minutes silence. Could all the boys please be at the Park for a 9am meet. The Tournament’s will start promptly at 9.30am. Your managers and league secretary will have all the necessary information so for any questions please contact them for more details. Could all the boys please be at the Park for a 9.30am meet. The two penalty shoot outs will start promptly at 10.00am. Both shootouts will take place on the small Senior pitch: The year 7 shootout will take place at the goal near the Junior pitches while the year 8 shootout will take place by the goal near the playground. Congratulations go out to James Robertson and Kodi O’ Sullivan of the Sharks for winning the year 3 and 4 Bantam Penalty Shootouts respectively. Further congratulations to Liam Jarvis of the Eagles and Oliver Sussick of the Ravens for their runners up positions in the year 3 and 4 shootout. This weekend sees both the Bantam and Junior Leagues take part in a Penalty Fundraiser down at the Raynes Park Little League. Below is the sponsorship form that all kids/parents will need to fill in and give to the league when they take part this weekend. Your manager should be in touch regarding such things as the time of the shootout, which pitch it will take place and who/where you can give the money to. Exciting news from the Raynes Park Little League where the season has been scheduled to start in eleven days time on the 15th of September at our Sir Joseph Hood Memorial Ground home… Below you will find the opening day fixtures for every league. All the fixtures for the forthcoming season are on the website under each leagues fixtures page. This Saturday will be a busy one down at the park with all mangers meeting their team and new players, some for the first time, ahead of the following weeks opening matches. Exciting news for everyone as we gear up for what promises to be the biggest and best RPLL season yet. Congratulations go out to Raynes Park Little League Senior coaches Bob Lyons, Royals, and Mick Browne, Monarchs, for passing their FA level 1 coaching badges this weekend. After three consecutive weekends of hard graft and studying, both Bob and Mick have joined the growing list of Raynes Park Little League managers with coaching qualifications. The league would like to take this opportunity to congratulate them on a wonderful achievement and look forward to seeing them in action at the park next Saturday. As part of our new 2012/13 season, we will be interviewing Bob and Mick over the coming weeks in our coaches corner section at the bottom right of the menu bar. Throughout the season we will be chatting to a plethora of people at the league in an attempt to find out a little more from our fabulous coaches and helpers…. watch this space.!!! May 19th, 2012 will live long in the memory for those at Raynes Park Little League after a hugely successful season ended on a high. With 5 age divisions entered (years 3 – 4&5 – 6&7 – 8 and our girls) competing against strong local teams such as Wimbledon LL, Morden LL and those from Holland, the tournament promised to be an exciting and challenging day for the boys and girls taking part. The Girls coached by Cliff Wilson did very well in their matches against well organized and accomplished sides from our Dutch counterparts. Although they did not win the tournament, the girls had a thoroughly good time and speaking after the matches Paul Saxby, a RPLL representative on the day, had this to say, ” Cliff did a great job today – you could see they were playing against girl teams that play together regularly but to their credit, their heads never dropped and they were fantastic in their attitude – they were brilliant”. Dan Bansept led years 4 & 5 to success in their tournament as they defeated all before them, 7 from7, to bring back the trophy for Raynes Park. A great achievement for all the boys that took part. The team played some lovely football and proved to strong for their Dutch opponents.